Do you want your character to become a follower? Do you use ECE (Enhaced Character Edit)? Please PM me on Steam, Loverslab (adult content) or Nexus, then. I'm taking suggestions (NOT REQUESTS) regarding the looks and the concept for my next follower mod, so feel free to message me and exchange some ideas. Now the Steam follower, get her in the link after the screenshots. Please read at least the GENERAL INFORMATION and the TROUBLESHOOTING before posting about an issue or CTD. On the comments, I won't reply to "It won't work" comments without explaining at least when it crashes (on Skyrim logo, loading a game, entering the follower area/cell...). 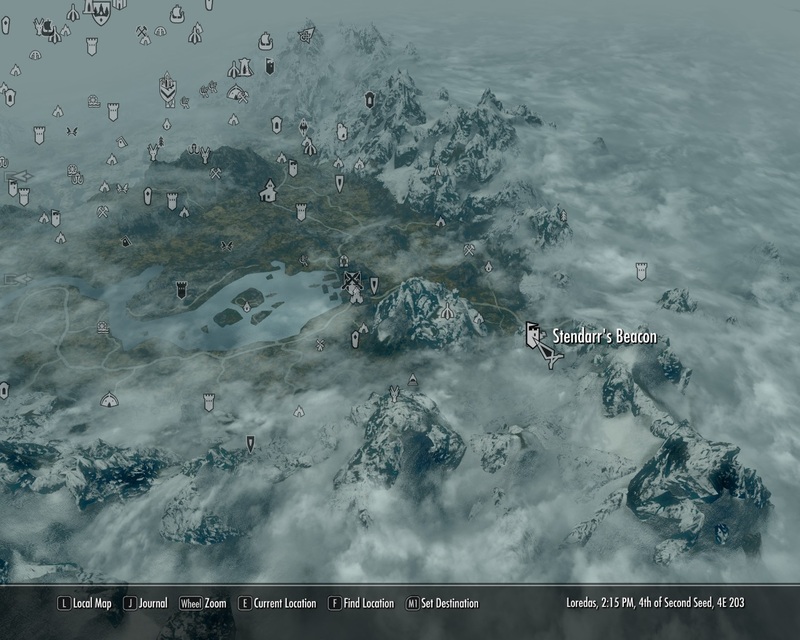 This mod adds a Vigilant of Stendarr follower in Stendarr's Beacon. It requires DLC Dawnguard. I haven't test her in the Dawnguard quest line, so there is a good chance that she is hostile to friendly NPC vampires (no problems at least with Serana), but I don't have any real testing to support it. It is a good idea to save your game away from Stendarr's Beacon or inside an interior cell (house/cave/city) before installing this mod to avoid CTD. IMPORTANT: Due to her nature and faction (vampire hunter), there is a possibility that she could become hostile to friendly NPC vampires (specially in Castle Volkihar), if you take the Vampire side on the Dawnguard quests; a small test in my game showed that she is not hostile to Serana (end-game) or other Custom follower Vampires, so I must consider her a Beta follower until I receive enough feedback that she doesen't bring any problem. I have this Mod concept laying on my to-do list for quite some time, waiting for a proper face model to add. Luckily a fellow user from 3DM forum shared a very nice ECE face that was the base of Leonor. The concept is a Vigilant of Stendarr with weaponry from the Dawnguard (crossbows and 1-handed axes); she carries some Vigilant base equipment (torches, bolts, heath potions), is flagged as essential, marriable and will level with the player up to 100. The meeting point is Stendarr's Beacon (check screenshot). Ranged combat: Custom enchanted Crossbow. Spells & Shouts: Restoration and alteration spells. Armor: Vigilant of Stendarr usual outfit. Problem: She don't use her crossbow, is using a normal hunting bow instead. Answer: I use aMidianBorn textures by CaBaL(http://www.nexusmods.com/skyrim/mods/24909/? ), that can't be shared outside Nexus. The Mod will use your textures installed, so if you don't have any texture replacer for it, you'll get vanilla textures. Question: Why Dawnguard is required? Is there a non-DLC version? Answer: She uses resources (crossbow, axes, robes) from the DLC. I plan to release a non-DLC in the future. - Base Body: SevenBase from Sevennity. http://www.nexusmods.com/skyrim/mods/36992/? - Brows: SG Female Eyebrows by Hello Santa http://www.nexusmods.com/skyrim/mods/35327/?